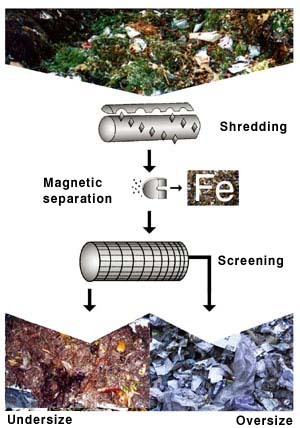 Residual waste, bulky waste, industrial waste etc. 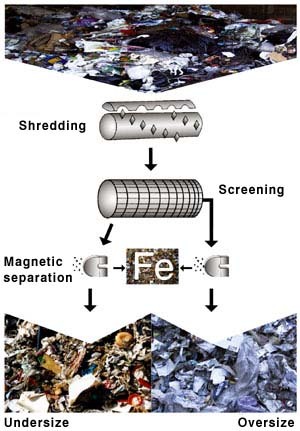 The task: Separation of residual waste, bulky waste, industrial waste etc. into a light fraction with high calorific value for energy reclamation and into a heavy fraction with high organic contents for biological treatment.